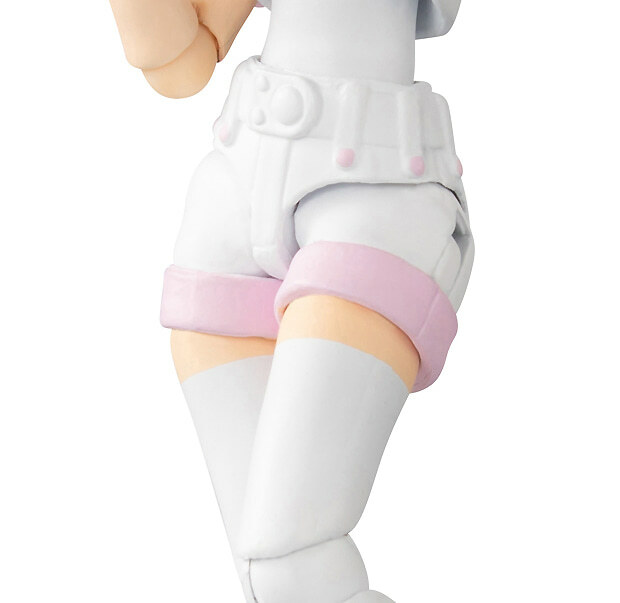 Less than a month since the release of the "Regular" and AmiAmi-exclusive version of Sentinel's 4 Inch-Nel Roll figure, Capcom announced today a recolor that will go on sale at the 2019 Winter Wonder Festival (starts in February). Limited quantities will be sold but no further details have been shared. 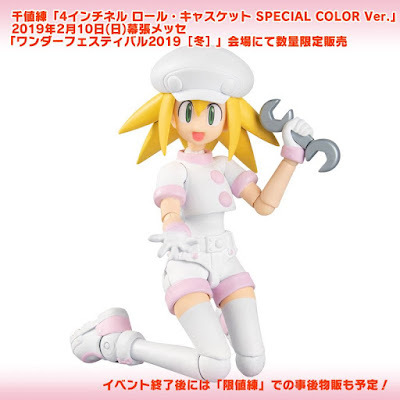 If we take into consideration the other Wonder Festival or Convention exclusive recolors we've seen in the past, it can be assumed that the price will be roughly the same as the Regular version and limited quantities will be sold at Sentinel Online Store after the festival ends. 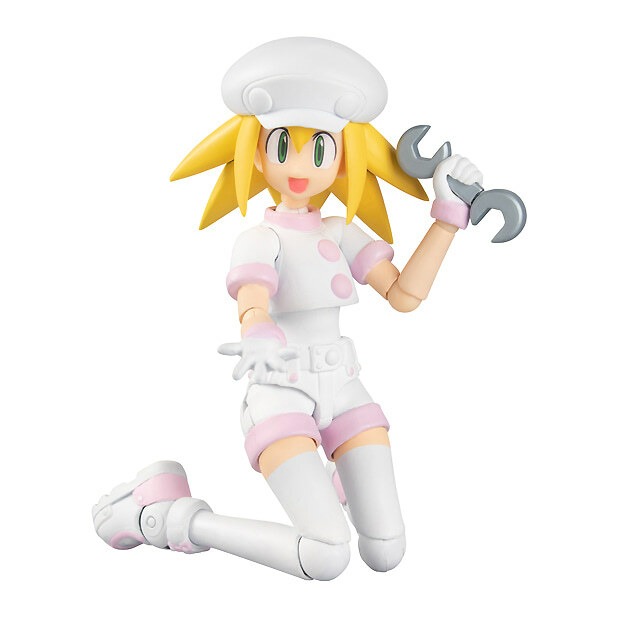 UPDATE: The price for the figure will be 8,100 yen and no new accessories will come with it. 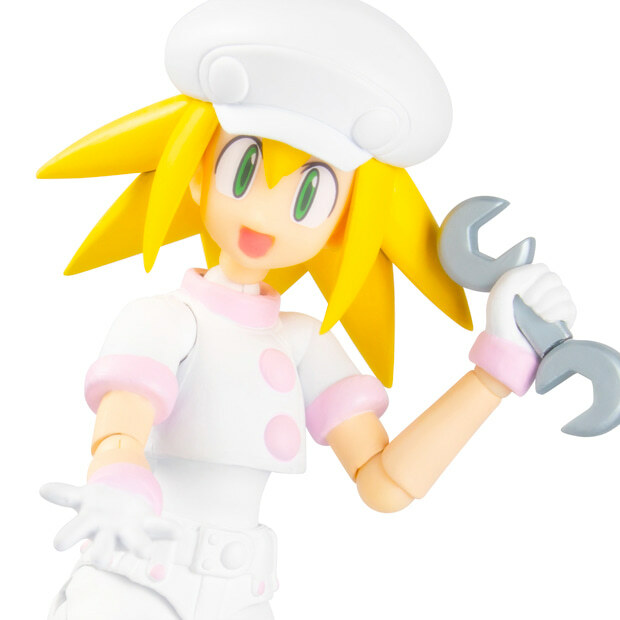 The figure will be sold via Sentinel's Online Store after the festival ends. 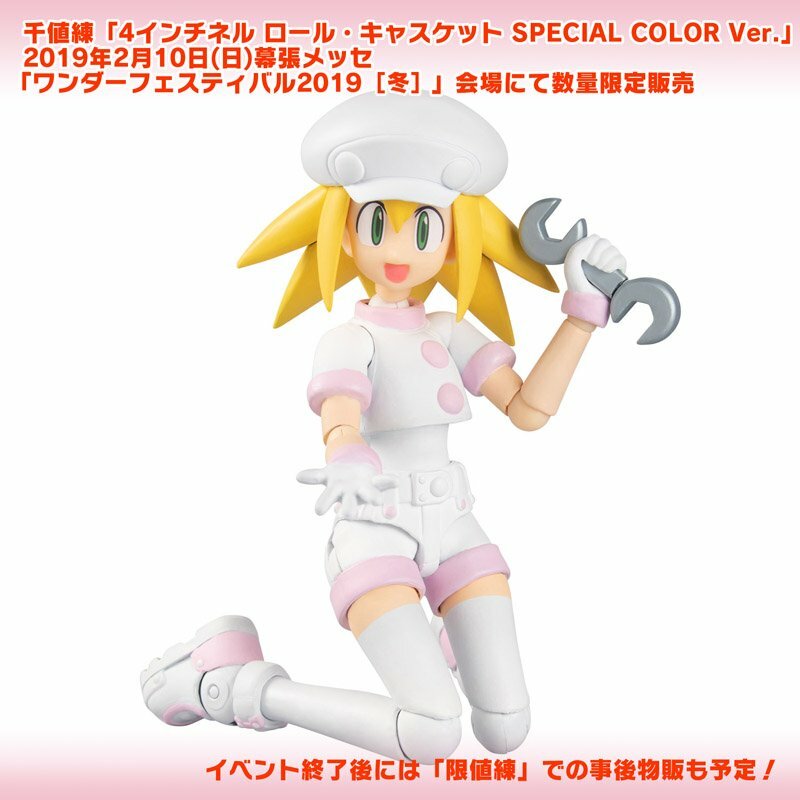 Looks like the figure is roughly based on the nurse character from the first Mega Man Legends game but they explicitly mention this is an "original color". 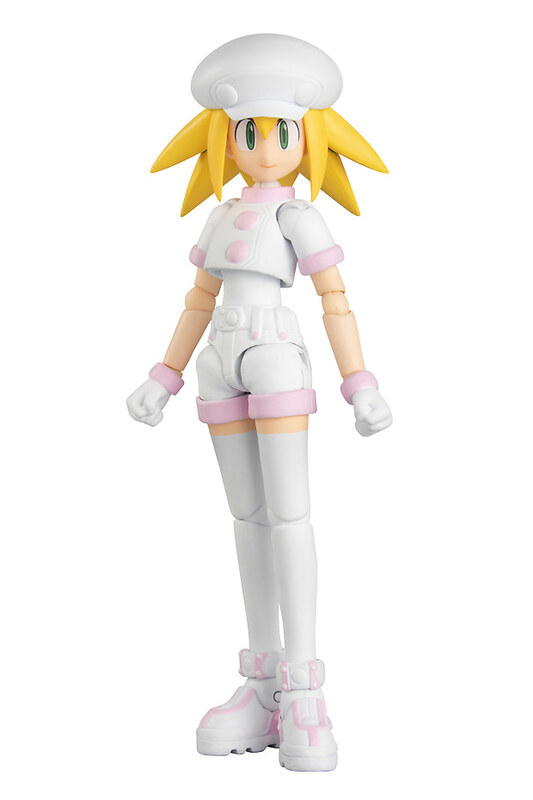 As many of you will remember, this is not the first time Sentinel release a recolored Mega Man figure. During the Summer Wonder Festival 2016, they sold Dark Rockman.EXE, Waru Rock or Bad Mega Man was sold during the Summer Wonder Festival 2017 and later that year they sold the Subaru Version of the Shooting Star Rockman figure during the Tokyo Comic Con. The Regular and AmiAmi releases has caused controversy among collectors for his high price, sloppy painting in some areas, and questionable knee joint parts. If that's not bad enough, they chose to split two iconic items like Roll's hat and Data between two different packages. If you want to know how both versions of the figure turn out, I recommend you to head over RMDL and read their excellent review. Oh that's bad. That's really bad. 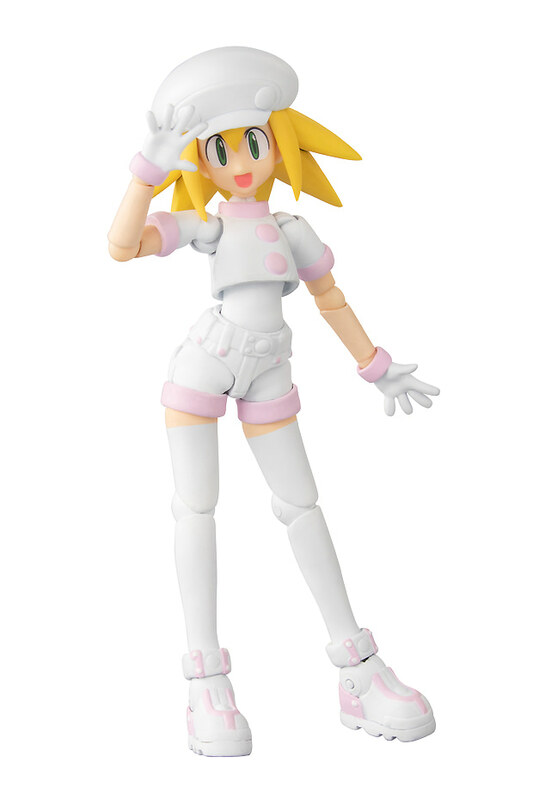 I hope they show some great figures at their booth this year to make up for this. I need my zero hype. It honestly looks unfinished. I don't understand why some of the metal portions get a pink recolor, but you look at the belt and it has absolutely nothing to it. 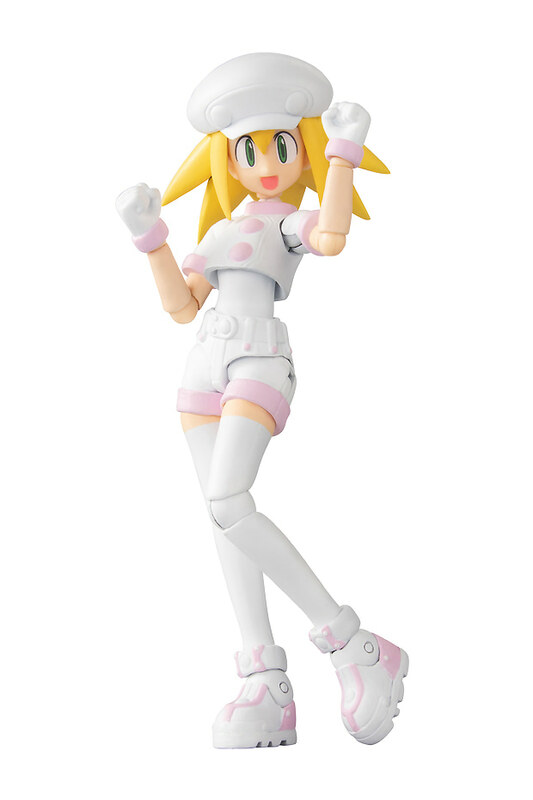 Kind of an odd choice to release a figure in white clothing, and it's applied almost everywhere. Doesn't make much sense to me. Wow. Just wow. Doesn't this just REEK of lazy greed, with a touch of desperation mixed in? I was absolutely certain I was looking at a prototype. Wouldn't it make more sense to have pink where the red was??? And add some fuzz balls or ribbons or something? or at the very least, make the stomach part skin colored instead of white, since they swapped the black body glove part on the thigh for skin color. the white on the stomach looks weird with the separate white shirt part hovering above it. also... also all the other stuff they changed to white that don't make sense... metal bits, belt. it's like a poorly executed nurse outfit. at this greedy pace, am worried we wont get more robot masters (Cut Man was great), Protoman, or more Megaman X series characters. Really hate that I missed that Cut Man.. ain't paying ebay prices. They must be doing goodgood considering they have the balls to sell this recolor. She's so cute! , ugh I have to get her before she gets to expensive on the resale market. oof. 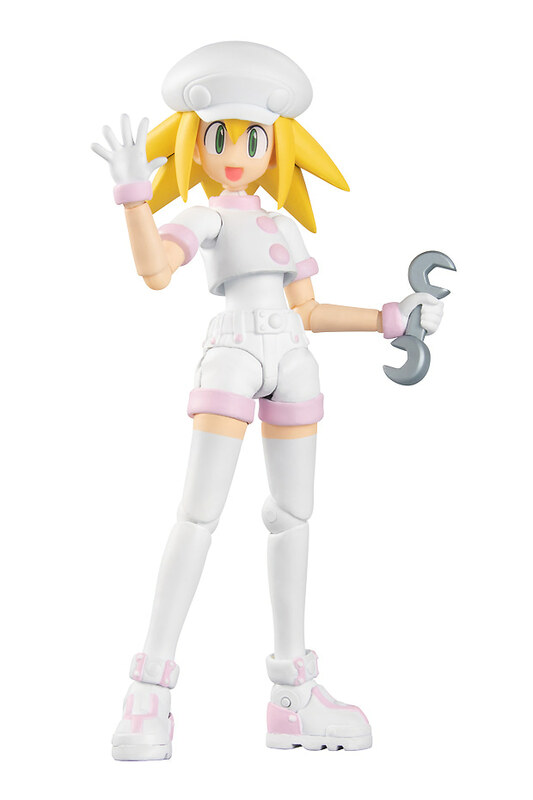 I bought both of the normal ones from amiami, but this thing... yikes. idk... it just looks like such a lazy choice of colors, especially given the price. hopefully the sales of this version don't hurt the chances of a Tron figure in the future. Is there a way to order from the online store and ship to u.s.? I really would rather not deal with resale. No, sadly. At the moment this is a WF exclusive. Bummer. Thanks Protodude. This site is the only reason I have a collection started, I never would have heard of them otherwise.